Boulay Auto Glass offers the convenience of mobile on-site auto glass replacement at your office or home in Hopkins, MN. As specialists in luxury car auto glass replacement - experienced in working with all luxury car makes and models including Audi, Lexus, Mercedes, Land Rover and BMW - why spend your time waiting at an auto glass shop when we will come to you. I just wanted to thank John and the crew at Boulay Auto Glass re the replacement of the windshield on my BMW 3 Series. Your installer came to my office, and quickly and cleanly replaced the windshield on my car without interrupting my work day. Several local Twin Cities luxury auto dealerships have placed their trust in Boulay Auto Glass and refer their valued customers to us for their auto glass needs. Boulay Auto Glass installers are experienced in working with all luxury car makes and models, ensuring that your car will have the best materials and technology used for your new windshield. Let the mobile auto glass installers from Boulay Auto Glass replace your cracked windshield at your Hopkins, MN work or home. 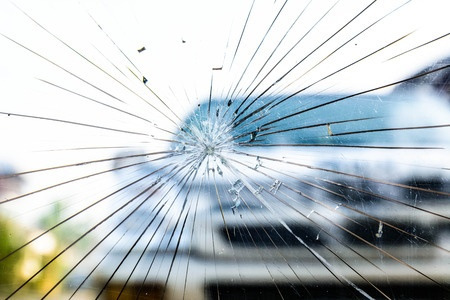 Will Boulay Auto Glass Work With My Insurance Company? Boulay Auto Glass works with all major insurance companies for your auto glass repair or replacement. We will handle the billing process for our customers for all insurance companies. You are only responsible for your deductible, if any, at the time of service. Please see more information on working with your insurance company on our auto glass & insurance page. Our friendly and knowledgeable Customer Service Representatives are available Monday - Friday from 8 a.m. - 4:30 p.m. Call 952-890-8158 or fill out the Request An Appointment form on this page to schedule your windshield replacement appointment at your Hopkins home or office today.